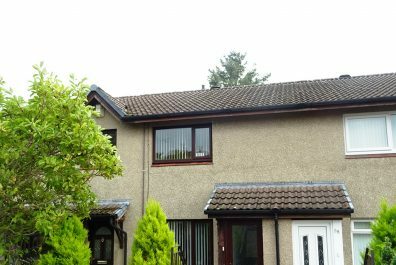 32 Gillbrae is an attractive one bedroom terraced house situated in popular residential area. The property is just a short walk to Georgetown Library, Gillbrae Medical Centre and Georgetown Primary School. In good decorative order. Double glazing and gas central heating throughout and an easily maintained garden. Would be ideal for a first time buyer or as a buy to let. Entrance vestibule, Living Room, Kitchen, bedroom, bathroom, garden and off street parking.